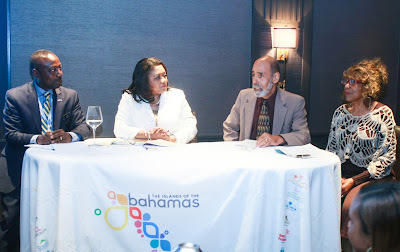 A couple of weeks ago I was given the opportunity to attend a luncheon to learn more about the Bahamas. No way I could turn that down! Now, I've never been to the Bahamas, or any tropical island. Sad, isn't it? My aunt has been down to Freeport/Grand Bahama Island more times than I can count! This spring I told her that we need to have a girls week down there! Did you know that there are over 700 islands, and 16 are in habited. They're our closest neighbor. I had no idea. To get to the Caribbean, you have to pass the Bahamas! 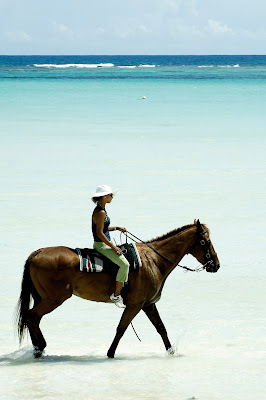 The Island of the Bahamas are hoping they'll become the Riviera of the Caribbean. 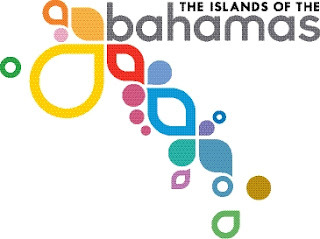 Coming up next month the Island of the Bahamas is hosting the International Women’s Empowerment Summit (IWES) October 19-21 at the Atlantis Paradise Island Resort. Slated for October 19-21 at the Atlantis Paradise Island Resort, the schedule for the summit is overflowing with purposeful activities, in particular eight revolutionary panels. Some of the featured speakers on the panel are heavy hitters like Pastor of One Church in Los Angeles, Toure Jakes Roberts; Fashion and Swimwear Designer, Amber Atherton and Celebrity Makeup Artist, Gabby Bernstein. In addition to the marvelous speakers, the topics of the eight panels include: Business as Unusual Women, Doing Business with Confidence, Wealth Creation and Economic Empowerment, Startup Women, Presentation is Everything, The Value of Educating a Woman, UN Women HeForShe and The Balanced Woman. Hosted by The Bahamas Ministry of Tourism in collaboration with Startup Woman and United Nations Women, the summit is designed for women professionals and entrepreneurs from around the world and The Bahamas, to meet, to learn from and to inspire each other. Joy Jibrilu, Director General of The Bahamas Ministry of Tourism said interest from the public especially internationally has been remarkable. Jibrilu said the Ministry of Tourism reached out to spectacular women to speak on the panel to ensure that the summit has not only merit, but also value. 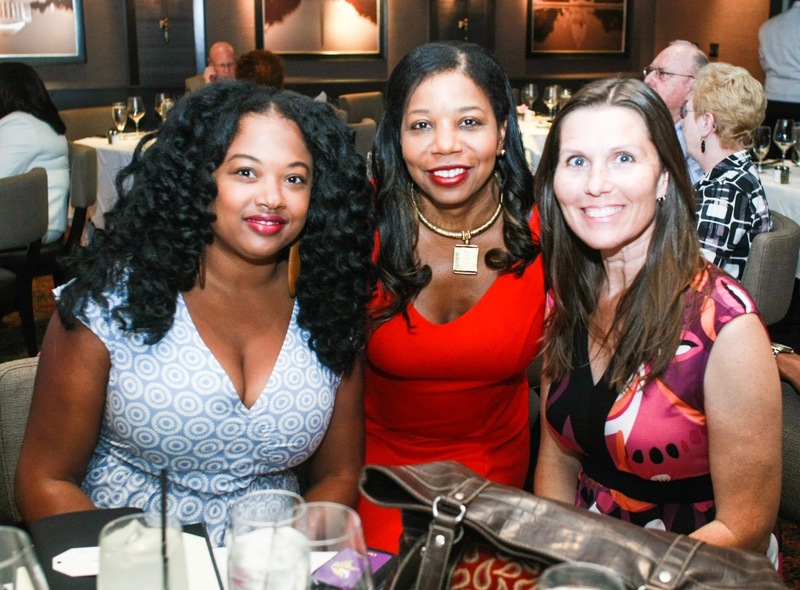 “We’ve reached out to phenomenal women both at home and globally. Women who have made an impact and these are names such as Mrs. Folorunsho Alakija, the richest black woman in the world who is coming in to speak on two panels. In addition, you’ve got Sarah Roberts, TD Jakes daughter and her husband are coming to speak,” she said. Other speakers include: Sarah Jakes Roberts – Pastor of One Church LA; Folorunso Alakija - Founder of Rose of Sharon and Vice Chairman of Famfa Oil; Pastor Funke Adejumo - President of Funke Felix Adejumo Foundation; Lauren Holowesko - Director of Island House; Nikki Ogunnaike - Senior Fashion Editor of Hearst Digital Media; Amy Van Atta Slater - Senior Vice President, Rovi Corporation; Hon. Allyson Maynard Gibson - Attorney General of The Bahamas; Lakshmi Puri - Assistant Secretary General for Intergovernmental Support and Strategic Partnerships at UN Women, the United Nations Entity for Gender Equality and the Empowerment of Women; Melissa Odabash - Founder of Flash Cash; Cheryl Tiegs - Fashion Model and Designer; Carole White - Founder of Premier Model Management; Lisa Goodchild - CEO of Digiwoo; Beverly Saunders - Vice President of Human Resources for Cable Bahamas; Traci Otey Blunt - Executive Vice President of The RLJ Companies; Sam Fine - Self Help Author and Motivational Speaker; Karen Cummings Palmer - Health, Beauty and Nutrition Consultant; Dr. Terri Kennedy - CEO of Power Living Enterprises Inc; Jennifer Wilson - Manager at the Cove Atlantis; Liz Stern - Founder of Global Giving Advisors; Marion Bethel - Partner at Sears and Co/Writer and Documentarian; Ted Bunch - Co Founder of A Call to Men; Josh Levs - Co Founder of A Call to Men and Amir Dossal - Founder of the Global Partnerships Forum. The summit will also host the launch of the StartUp Woman initiative for The Bahamas, a new enterprise by the founders of WIE Network, which shines a spotlight on woman-owned SME’s in the UK, the US and The Bahamas. With the support of Startup Woman Bahamas, six notable women will be invited to mentor six young Bahamians aspiring to one day be entrepreneurs.